At night, the city of Phoenix shimmers in points of light spilling across the desert like a fallen constellation. But by morning the city rises, revealing itself as a polestar of Southwestern culture unique to the Grand Canyon State. 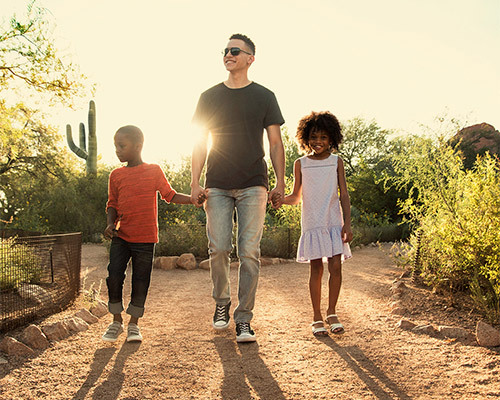 The many cultural, entertainment and outdoor attractions found in Phoenix and the surrounding area are yours to explore during a stay at Bluegreen’s Cibola Vista Resort and Spa. This quiet and relaxing resort retreat is just minutes from the city. Here, the desert sun rises in a flow of sienna, tangerine, and yellow–your morning invitation to venture outdoors. Rent a ride, grab a map and make your way to the city’s best attractions as rated by visitors on their Arizona must-see list. Phoenix’s original skyscrapers were the towering Saguaro cacti that, along with cowboys like John Wayne, became icons of the American Western. But the 50-foot giants are just one wonder in this sprawling 140-acre garden. Catch the saguaros in bloom, and you’ll spot clusters of white blossoms at the tips—a curious sight atop the plant’s thorny arms. It’s as though they’re dipped in fluffy white frosting! Walk along the garden trails to discover distinctive metal sculptures, water features, and 2,000 species of cacti. Trees and wildflowers from around the world burst into a riot of color as they pop against dusty red buttes. Continue to flat trails and catch scents wafting from the edible gardens, herb terrace, and the Agave Yucca Forest. And to add to an already beautiful setting, they’ve peppered each path with authentic works of Native American art. Besides the eye-popping blooms or savory edible herbs, one of the best features of this garden is the agave collection showcasing Australian, Baja California, and South American species. The Botanical Garden is more than a nursery. Check their events calendar for year-round outdoor concerts, shows and culinary demonstrations. One of the park’s most spectacular shows happens after sunset, when a choreography of illumination showers the garden and its works of art. The park hosts a restaurant, bookstore and garden shop, and if your timing is right, you can take in an outdoor movie under the stars. This impressive ball field is the arena for the Arizona Diamondbacks™ and boasts several fantastic features every sports fan needs in a desert-bound stadium. A retractable roof and louvered billboards keep fans cool in summer months. But to help beat the sun and heat, they’ve installed a sparkling pool in right field. Upon reservation, spectators can swim a few laps while catching close-up replays on the enormous TV screens and check the score on one of the largest video scoreboards in Major League Baseball. Stadium restaurants including Friday’s Front Row and Draft Room whip up dream cuisine for hungry fans. 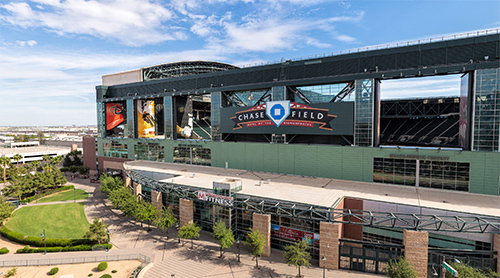 Year-round guided walking tours of Chase Field thrill visitors for 75 fact-filled minutes. Though the tour does not let you roam the playing field, there are plenty of other selfie ops along the way, so break out your camera and create a few Instagram moments–and be sure to add #mybluegreenvacay! This museum showcases local Native American culture with its stunning works of art. Heard has enjoyed a long history of tribal collaboration, allowing it to host the area’s most rare displays. 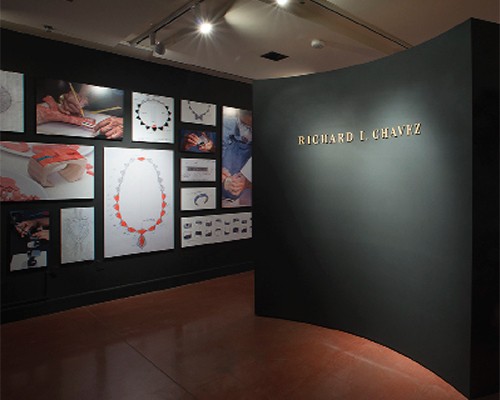 Here, you can enjoy a range of Native American creative expression through educational programs and exhibitions. Throughout the year, the museum also hosts world-class Hoop Dance festivals, so be sure to check their calendar. Visit the gift shop to purchase original local art works, or browse the bookstore’s Southwestern history and children’s titles. You’ll find cooking and art history books, and a variety of Native American packaged foods. Phoenix now has its very own rainforest. 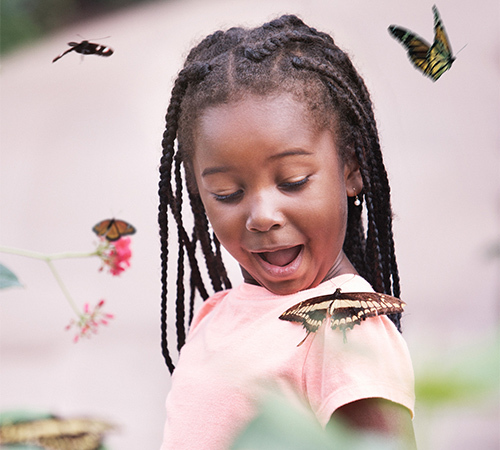 The largest butterfly conservatory in the country is found here—in the heart of the Sonoran desert—where you can watch as chubby caterpillars transform from chrysalis to butterfly. It’s a tropical wonderland set within a refuge that’s worlds away from the dusty desert just outside. Lush tropical plants and flowers surround you as you stroll through the atrium where butterflies land just long enough for you to capture their colored wings on camera. The conservatory also features a 3D theatre showing a featured short, “Flight of the Butterflies”. If you’re shy about letting the wispy creatures perch on your shoulder, you can get up close and personal through the magic of a virtual world in 3D! Reptiles and amphibians are also part of this rainforest extravaganza, so make it a point to stop by the reptile exhibit. Honeybees, scorpions, and tropical fish from the Amazon are just a few more of the creatures who also call Butterfly Wonderland home. On a tract of desert straddling Phoenix and Tempe, 1,500 acres of sandstone terrain rise and fall within Papago Park. Here, you can hike to Hole in the Rock, a massive butte that rewards climbers with sweeping valley views. But if you’re not feeling up to a climb, a simple walk along the park’s many level paths lets you explore in comfort. Take a break with a picnic lunch in areas outfitted with grills, or relax on the shore of one of the park’s three glistening ponds. This nature-lover’s haven also offers plenty of attractions. It’s large enough to include two museums, an open-air theater, the renowned Phoenix Zoo and the sprawling grounds of the Botanical Garden. It’s easy to spend an entire day at Papago Park. Besides hiking trails, ponds and picnic areas, you’ll find a golf course, softball complex, and an unusual pyramid. But the park’s also known as a great place to play Pokemon Go! This remarkable nature conservation is home to 14,000 animals! Created to tend to a variety of creatures big and small, the habitat includes 30 of the world’s endangered species. It’s the largest zoo in the country not just because it’s alive with fascinating wildlife, but because of its sheer size—125 acres of themed walking trails. Four paths lead to encounters with exotic beasts from far-flung corners of the Earth. On the Arizona Trail, you’ll discover flora and fauna unique to the American Southwest, along with coyote, cougar, and Mexican wolf. Trek the Africa Trail to spot the Hamadryas baboon, rhino, and lions. The Tropics Trail comes alive as a rainforest with two sections—an inner trail winds around a lagoon to a Tropical Flights aviary, while the outer trail showcases Komodo dragons, Asian elephants, and jaguar. farming. Don’t miss the 4D theater with animated films featuring prehistoric adventures, sea monsters, and Ice Age: Dawn of the Dinosaurs. 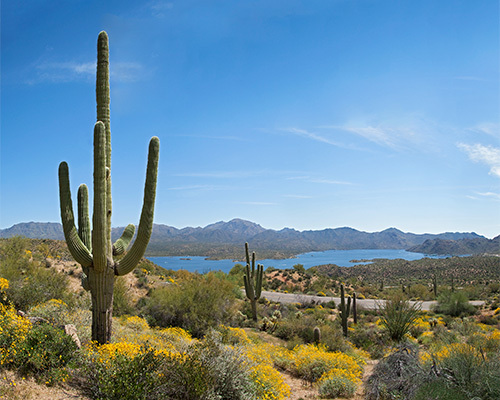 Escape the arid desert and recharge at nearby Lake Pleasant, a watery recreational oasis in the middle of the Sonoran Desert featuring a man-made lake that covers over 10,000 acres and boasts 100 miles of coastline. Drive just 30 minutes from the resort and get ready to set sail, catch a few fish or skim the surface of this manmade lake created by the Waddell Dam. This lake is so large you’ll find not one but 2 full-service marinas convenient for boat and aqua equipment rentals, so you can charter a vessel for a relaxing day of sailing and fishing. of the lake, the Waddell Dam, and the ruins. All that exercise will make you hungry! Whenever you’re ready to grab a bite, grill your day’s catch in the comfortable picnic areas or visit the lake’s relaxing waterside restaurants. 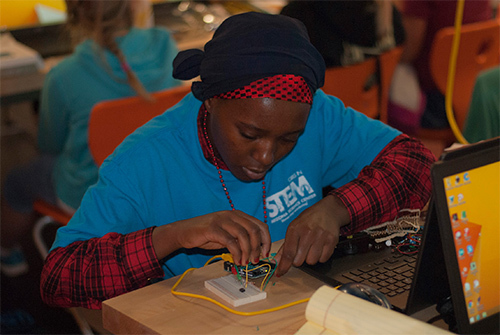 Explore the world of sound, gravity, and psychology through 300 exhibits designed to keep curious hands and minds busy. Here, you can pilot a simulated flight, take a trip through the human body, or navigate the cosmos. And that’s just the beginning! 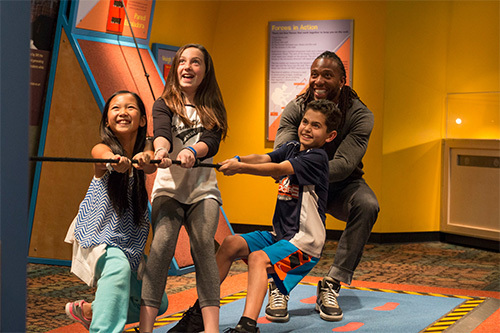 Forces of Nature is one of the Science Center’s most compelling exhibits. Experience monster storms and extreme geological events through its overhead video, surround sound and moving floors. Discover a mysterious universe as you navigate this attraction’s many interactive displays. From the lightning arc of electricity to the Earth’s raging weather and the far reaches of outer space, you’ll be transported to fascinating and curious worlds. Prepare for hours of wonder and entertainment. What’s a Flame Museum? It’s an acre of fire history and home to 90 pieces of restored firefighting equipment, some of which date back to 1725! Most pieces are American, but there are also rigs that were shipped in from England, France, Austria, Germany and Japan. There’s also a gallery dedicated to wildland firefighting, while the National Firefighting Hall of Heroes honors those lost in the line of duty. Sign in to your account to book your Arizona vacation experience today!